After centuries of persecution by a domineering magocracy, the Revolutionaries have found a way to even the score. With the new republics of Khamsin and the Northlands having carved out their own territories from the Atlantean Empire, now the real fight begins to maintain their hard-won freedom and to put an end to the tyranny of the Empire once and for all. Fifteen years ago, in 419 Tz, it took only one bullet and an eagle-eyed Revolutionary named Snow to begin a new era in the history of the Land. The assassination of the Atlantis Guild’s leading wizard, Prophet-Magus Karrudan, signaled the rise of a new power in the Land. While frequent, bloody battles between the Guild and the free folk of Khamsin have marked the courage and determination of an entire generation of warriors, the first signs are showing that the fight led by Blackwyn, Sarah Ythlim and other BPRev warlords may well be having a permenant and undeniable effect on the struggling Empire. Just recently, with Khamsin having survived destruction at the hands of the combined Atlantean and High Elven armies, and the Northlands secured under the auspice of Warlord Blackwyn’s well-trained Northlander armies, a new era begins for the fighters of the Revolution. With the Council of Merchants solidly in control of Khamsin, and the five-hundred mile front connecting the BPRev territories of Khamsin, the Grange Valley, the Northlands and the Amazon homeland of Nepharus Mons, for the first time the Revolutionaries have a solid base to work from in their war against the other factions – but are going to have to fight like the devil to keep it. While the tactics of this new Revolution remains largely the same – utilizing small, mobile, well-equipped forces to win battles against heavily armed forces – the sudden surge of the Dark Crusade to the east and the bizarre arrangement between the free-willed Galeshi and Kzar Nabar has many Revolutionaries worried about the battles to come. Only time will tell if this opening mark of freedom will stand, or fall once again to the tyranny of Atlantis or one of the larger factions. With the victory at Khamsin over the High Elven army, the Black Powder Revolutionaries are the strongest that they have been in fifteen years of battle. While controlling a sizable swath of territory, the various warbands loyal to the cause of freedom must now struggle with internal strife and struggle even in their moment of victory. Military Victories: The twin failures for Atlantis to capture the critical river-city of Wolfsgate, and the failure to conquer the Revolutionary capitol of Khamsin before the recall order came has allowed the Revolution to be recognized as a full faction rather than just a gang of freedom-crazy upstarts. Fort Wyndham: Duke Skala's victory in the Grange Valley – which connected the Northlander and Amazon territories with his native land of Khamsin – stands as a turning point of the war. However, few people even suspect that Skala's victory over Captain Sarjhet – only recently executed on the Bloody Square of Khamsin – was actually brought about through a secret deal that Skala made with a mysterious agent of the Solonavi. Blood in the Desert: Darq the Corrupt's incredible conquering of the Galeshi desert territories leaves many of the Revolutionary leaders worried. While the Council of Merchants in Khamsin warned the Galeshi against their plan to make deals with the Orcs – and were ultimately unable to send aid to the Galeshi due to the siege of the Revolutionary capitol – many Galeshi have a bone to pick with their "so-called allies" in Khamsin and the Northlands. Drakona Awakening: The Drakona's awakening, and recent invasion of the Kuttar Depths cuts off the supply of raw black powder to Sarah Ythlim's secret base in Varsfield. While black powder supplies will continue to make their way to waiting Revolutionary agents, the Drakona incursion into the heart of Revolutionary territory may ultimately have an effect on the war effort against the Atlantean tyrants. Handpicked by the Black Thorn, these loyal warriors fight for the Revolution in ways that few Khamsin citizens would approve of. 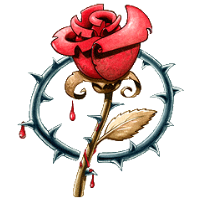 Through bribery, intimidation, spying, and even assassination, the members of the Bloody Thorns ensure that the Revolution isn’t undermined by unconventional attacks by outside forces. Made up of experts from all walks of Rebel life, the Black Thorn’s warriors were originally organized to ensure Venthian agents didn’t find ingenious ways of fracturing the newly reshaped Revolution just as it was getting its first real head of steam – and have since taken it upon themselves to do what needs to be done for the good of Khamsin no matter what the cost. The Bloody Thorns aren’t afraid to shoot someone in the back to get the job done, fight with every dirty trick in the book in order to gain victory, and then boast about it loudly at the local tavern over a mug of ale or three. Generally thought of as little better than mercenaries or rogues by many of the common folk of Khamsin, the Bloody Thorns know that the secret war they fight is crucial to the survival of the Revolution, and will do nearly anything to ensure that freedom never fails. Originally organized by the Warlord Blackwyn, the Northlander armies are totally devoted to the valorous cause of freedom. 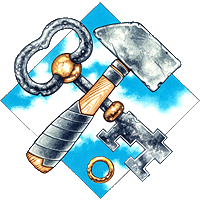 Made of up volunteers – never mercenaries – Blackwyn’s soldiers are fighting for not just their own homelands, but to allow their neighbors to have lives free from Atlantean influence. The Northlander armies continue to spread south and east, instigating and aiding the citizens of client-states long dominated by the Empire to rise up against their masters and to claim freedom over their own lives and destinies. 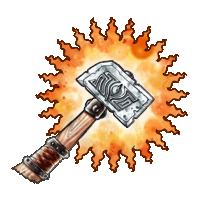 As more dwarves lose their immunity to the effects of magical energies, some are concerned that they may have lost their only edge over their enemies. Others have taken it as a guide to explore the possibilities of magic– and in weakness to it. 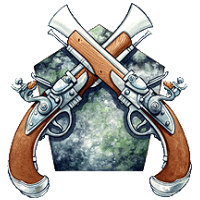 Kenaz Stoneheart has gathered the most talented of those among the Black Powder Revolutionaries who have embraced the ways of magic and taken them to a secret location where he works to shape the magic of the Revolution into as powerful a weapon as gunpowder– and perhaps even merge the two.